WASHINGTON, Jan. 23, 2008 -- The Chevrolet Equinox Fuel Cell has received Green Car Journal's first-ever Green Car Vision Award(TM), which honors the vehicle that best envisions the road ahead. The award was presented at a press conference at the Washington Auto Show. The 2008 Green Car Vision Award(TM) program considered five nominees. These included the Equinox Fuel Cell along with the BMW Hydrogen 7, Honda FCX Clarity, Phoenix Electric SUT, and Toyota Prius Plug-In Hybrid. 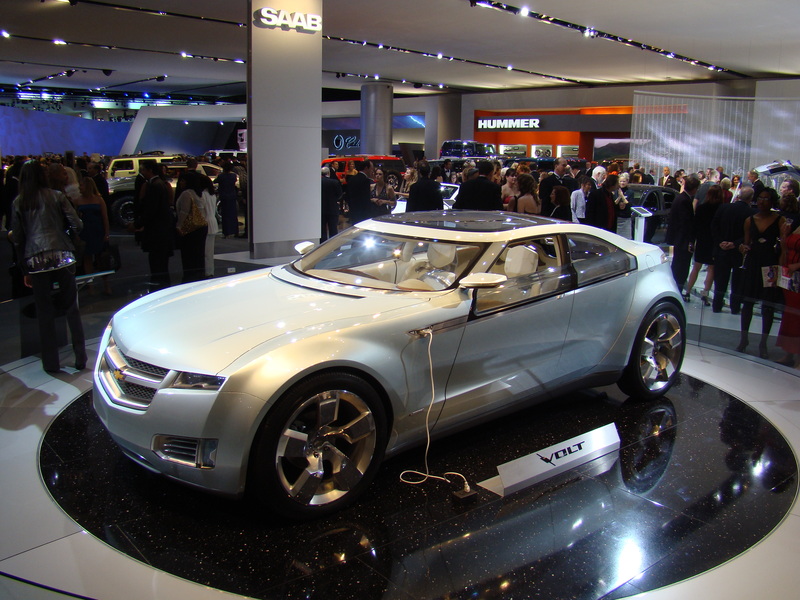 All qualified as advanced limited production vehicles either in demonstration programs or the early stages of commercialization. "The Equinox Fuel Cell is visionary on many levels," says Ron Cogan, editor and publisher of the Green Car Journal and editor of GreenCar.com. "Zero-emission vehicles destined for our highways in the years ahead will take many forms, from small car platforms to large. Powering a popular crossover model with a future fuel such as hydrogen, and doing so seamlessly with an efficient powerplant that creates no CO2 greenhouse gases, is exemplary and Chevrolet should be commended for this." Chevrolet's Equinox Fuel Cell combines an advanced hydrogen powertrain along with some of today's most sought-after features like OnStar, StabiliTrac, front and roof rail side-impact air bags, and four wheel ABS. It is a showcase of advanced thinking that directly benefits from a 40 year fuel cell development program with obvious depth. 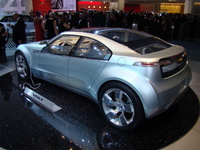 In recent years this program has included such notable fuel cell vehicles as the Hy-wire, AUTOnomy, Sequel, and the recently introduced Cadillac Provoq. An important element that weighed in the Equinox Fuel Cell's favor is the way in which GM is enabling consumers and fleets to experience its advanced hydrogen technology. 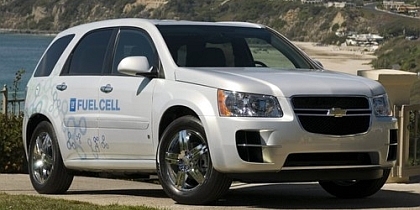 Through "Project Driveway," the world's largest fuel cell demonstration fleet, more than 100 Chevrolet Equinox Fuel Cell vehicles will be driven by consumers and others for three months at a time in California, New York City, and Washington D.C. In addition to the presentation of the Green Car Vision Award(TM), Green Car Journal's activities at the 2008 Washington Auto Show have included the magazine's inaugural Green Car Summit of auto and energy leaders and a Green Car Parade. The parade showcased the Chevrolet Equinox Fuel Cell along with battery electric, hybrid, E85 ethanol flexible-fuel, natural gas, and plug-in hybrid vehicles. A Green Car Pavilion continues to display "green" vehicles during the show's public days from January 23-27. The award-winning Green Car Journal has focused on the intersection of automobiles, energy, and environment since its launch in 1992. GreenCar.com offers hundreds of articles and news items on advanced and alternative fuel vehicles and technologies, all available to viewers for free. For more information visit www.greencar.com.